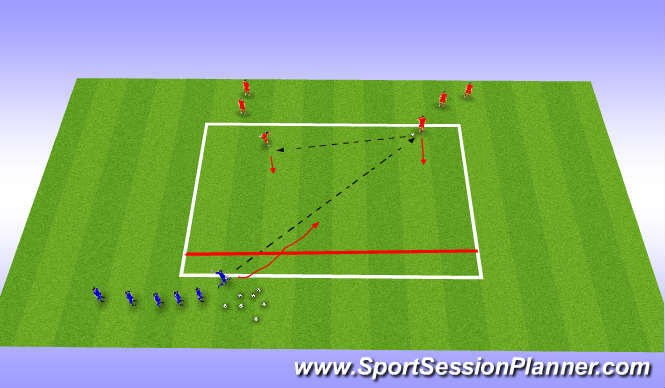 Organisation: Area of 15x15, The Defender to hit ball to attacker who then passes to team mate, creating a 2v1, Defender must attempt to stop them from crossing the end line or delay them for as long as possible: A tackle is not essential as long as the attackers are delayed for long enough for support to arrive. Key Factors: Deny, delay, focus, body shape. 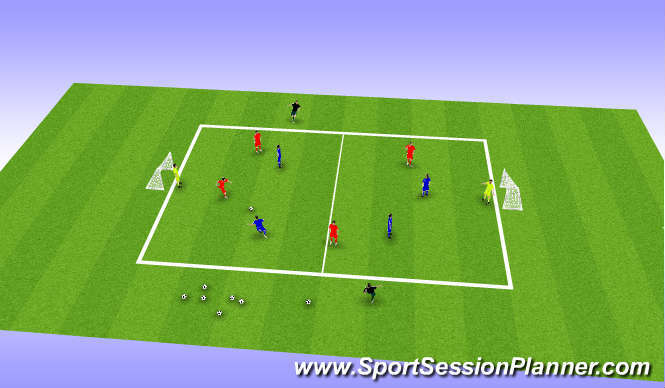 Organisation: Defenders must now pass the ballthen defend the goal from the attackers, this time there will be a 3v2 game, remember to support the 1st defender and cover. Key Factors: Deny, Delay, Defend, Concentration, Decision Making,Body Shape, Communication, Dont dive in. 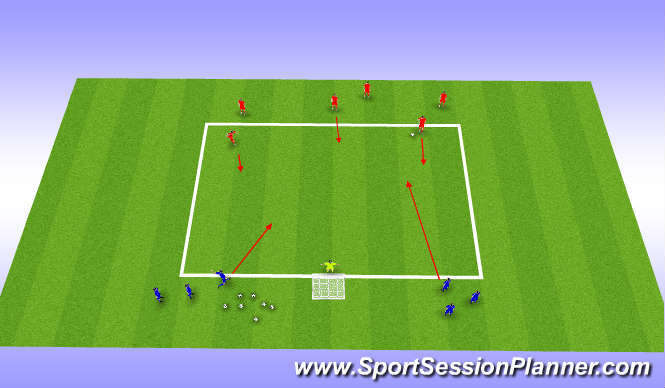 Organisation: a 4v4 game with a floater either side of pitch, who can only be used by attacking team creating a overload.